Rossiya Airlines is a St Petersburg based airline carrier in Russia which started operations in the year 2006. The airline hubs/bases are located at Pulkovo Airport, St Petersburg and Vnukovo International Airport, Moscow. With a passenger fleet size of 77 aircraft, Rossiya Airlines operates scheduled international and domestic flight services throughout cities in Asia, Europe and Africa. 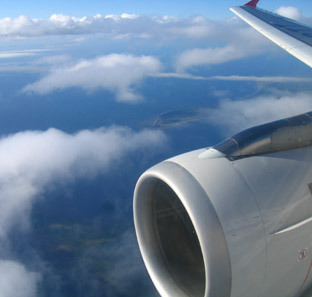 Besides operating scheduled flights, Rossiya Airlines also offer charter services flying from St Petersburg and Moscow. In addition to that, it also has VIP flights services catering the Russian government. 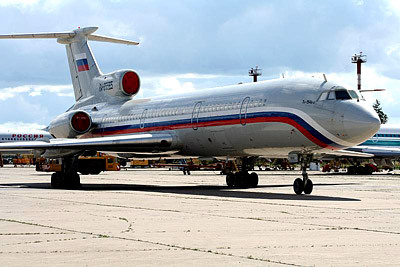 Rossiya Airlines is one of the largest operators of the airline model, Tupolev Tu-154 and it has plans to buy Airbus A340-300s aircraft by the year 2010. The Airbus will replace the Ilyushin Il-86 models. Rossiya Airlines maintains a passenger fleet with the following aircraft types :- Airbus A319-100, Airbus A340-200, Antonov An-148, Boeing 737-500, Ilyushin Il-18, Ilyushin Il-62M, Ilyushin Il-86, Ilyushin Il-96, Mil Mi-8, Tupolev Tu-134A, Tupolev Tu-154M, Tupolev Tu-204 and Yakovlev Yak-42. Check flight schedule, flight status directly from Rossiya Airlines official website. You can also check on the cheapest airfare, flight schedule, flight status, airlines offices, contact number, airlines packages, air cargo partners, air ticket prices and booking procedure, international airfares, frequent flyer and other flight information and travel deals and packages. When you are making an airfare booking, select from either economy airfares, business class airfares or first class airfares whichever you prefer. Have a pleasant flight journey and enjoy your holidays or business trip!